Free Outlook E-mails Backup Software has ability to backup your Microsoft Outlook emails within few simple steps. E-mail backup utility for Outlook can easily create emails backup on Microsoft Outlook versions such as Outlook 2000, 2002, 2003, 2007 and 2010 without giving any extra efforts. Backup Outlook emails tool has potential to backup emails on all latest versions of Windows operating system like Windows 8, Vista, 7, XP, 2007, 2003 within few minutes. 1)	It can also create backup for other Microsoft Outlook data such as notes, calendar entries, contacts, tasks, etc within few mouse clicks. 2)	Supports MS Outlook emails backup on FAT16, FAT32, NTFS, NTFS5, ExtFAT drives with ease. 3)	This software has capability to compress backup emails using various compression levels to save your drive space. 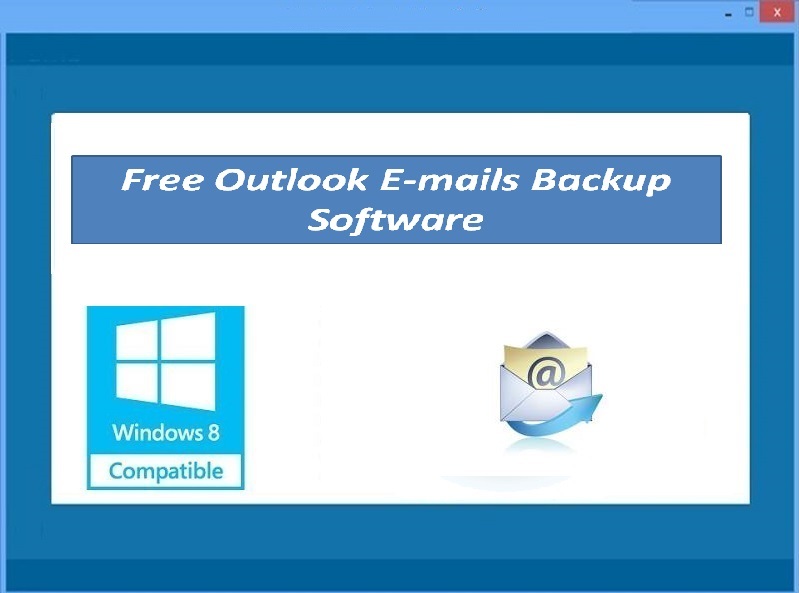 Download the free version of this Free Outlook E-mails Backup Software on Windows based PC to create backup your Microsoft Outlook emails and setting. If you are facing any problem while using this Free Outlook emails backup program then feel free to contact free 24 * 7 technical customer support team.